Curated by Steve Butler (Invercargill), Dark Skies Group, Royal Astronomical Society of New Zealand. This is a poster display relating to light pollution and its harmful effects. 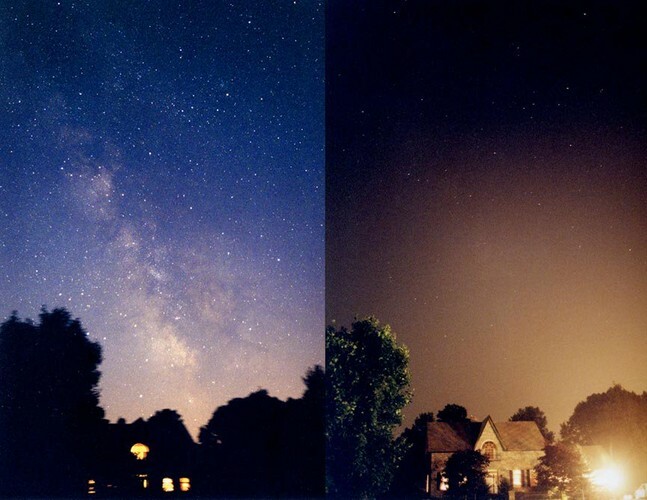 There is now a large amount of material on good lighting practice and information on the effects of light pollution on the environment, on many species and on human health. In February 2005 the Royal Astronomical Society of New Zealand (RASNZ) became a signatory to the Ministry for the Environment's Urban Design Protocol. The Urban Design Protocol states: "Environmentally responsible towns and cities constantly seek ways to minimise adverse impacts on human health and natural and cultural systems, including air quality and water quality. They minimise waste production, energy and water use, and maximise the efficiency of land use and infrastructure." The RASNZ believe that these statements are just as valid after sunset as during the day. Outdoor lighting in New Zealand, as part of Urban Design, is in urgent need of review to ensure minimal wastage of energy and to minimise impacts on human health and natural and cultural systems.